I realize it has been 3 months (!!!) since my last post. I honestly had not planned to stay away that long, but - as usual - life got in the way. 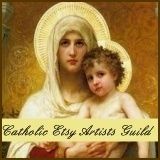 In the last 3 months, I have spent time visiting my old stomping grounds (the Phoenix area); I lost my poor dog that I have had for many years due to complications from cancer; my father had a couple of strokes for which he was hospitalized; I've had tons of homework for school and lots of jewelry orders. It's been crazy, but I am still kicking and living life to the fullest! I have lots of catching up to do here, so let's get started! 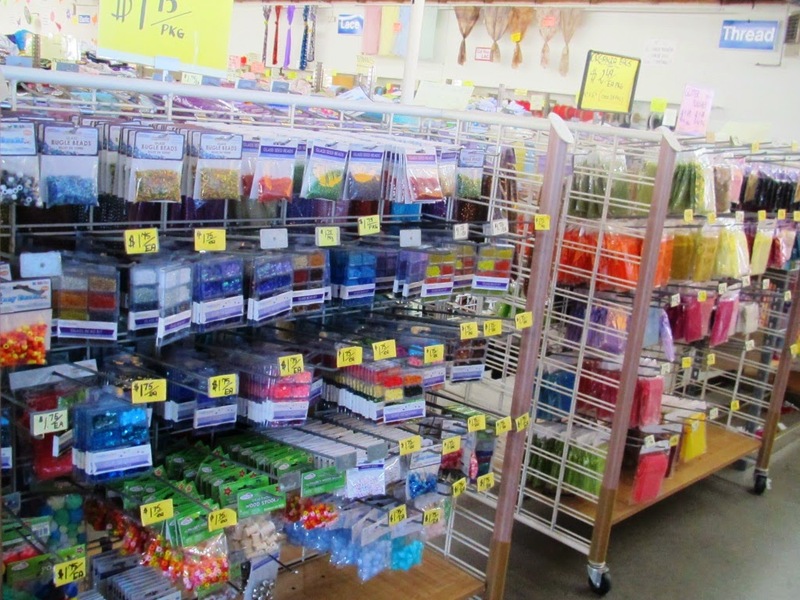 One of my favorite things to do when I visit the Phoenix area is to shop at all of those crafty supply stores I used to frequent when I lived there. 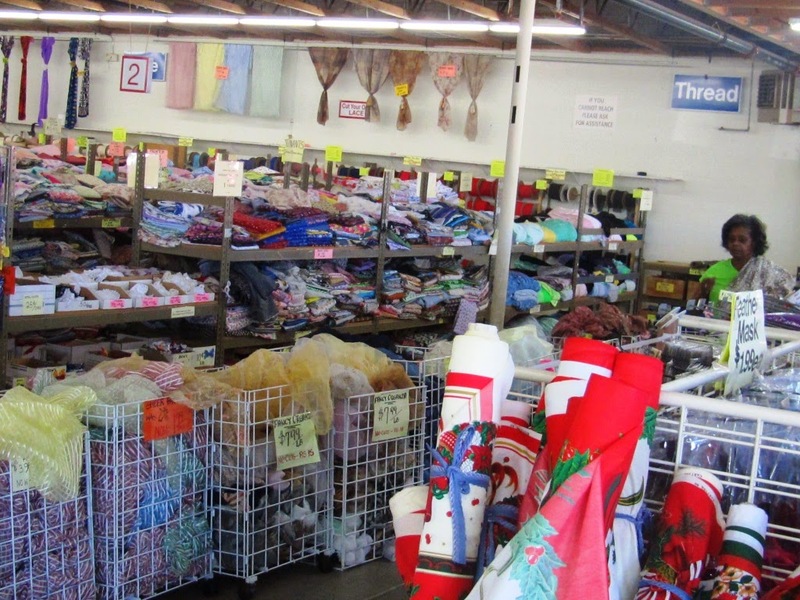 One of those places - SAS Fabrics - really is a crafter's paradise. 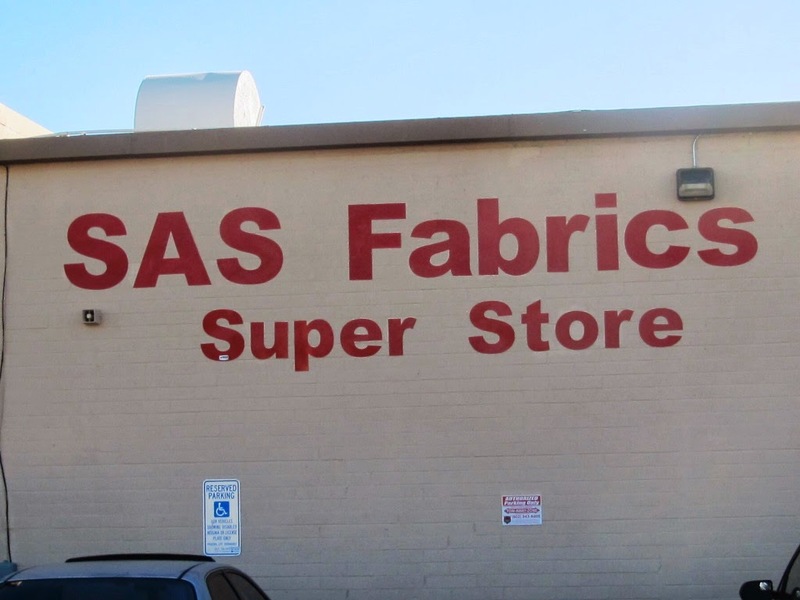 I started shopping there many years ago when SAS sold fabrics and trims by the pound. Over the years, they have changed their pricing on fabrics based on yardage, but in any case, you can still get some great deals shopping there. SAS used to sell a variety of buttons that you could sort through for 10 cents (then 25 cents) per Dixie Cup; unfortunately, they don't offer this any longer. 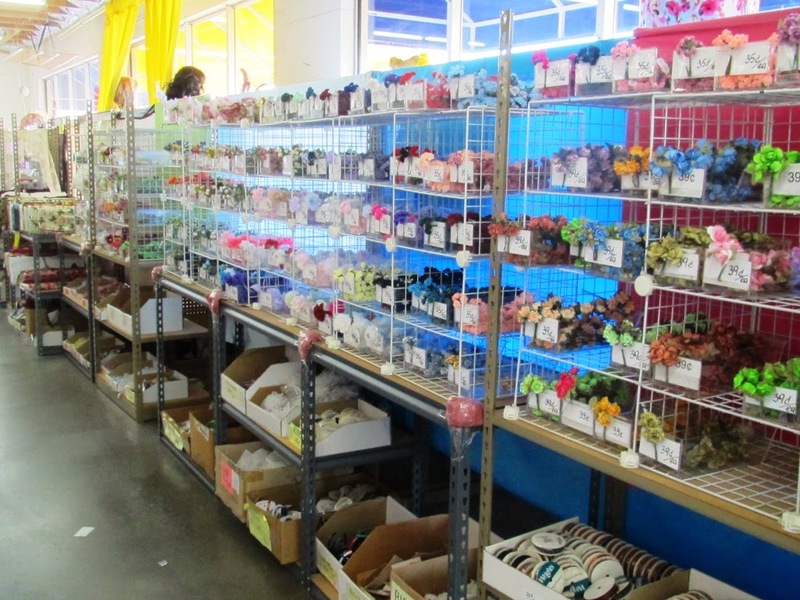 The good news is they have great prices on fabric trims, beads, ribbon, lace and all sorts of goodies. 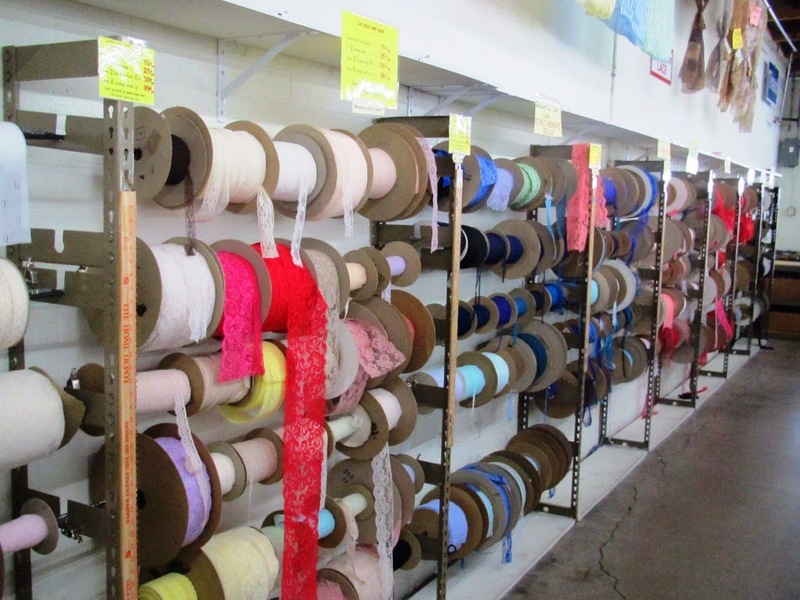 They sell thread for 15-25 cents per spool, and lace for as low as 10 cents per yard. 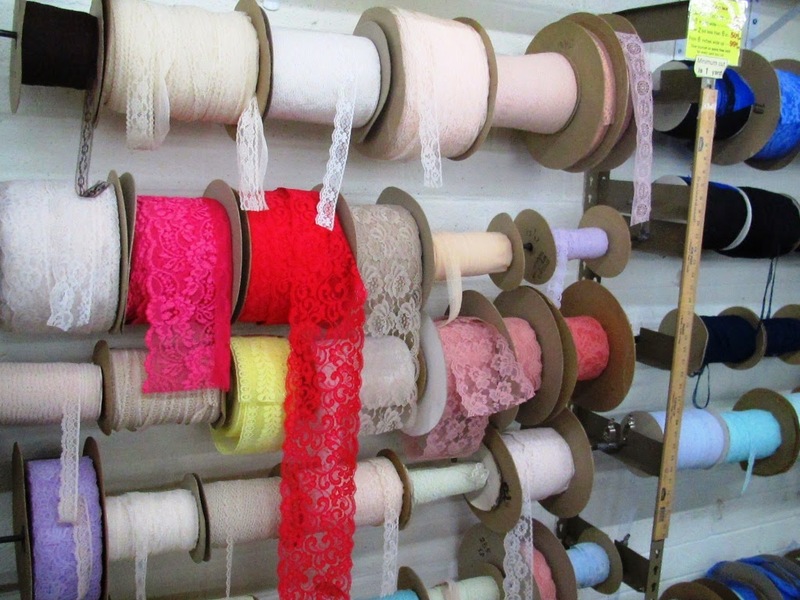 If you cut the lace yourself, you get a free yard for every 4 yards purchased! 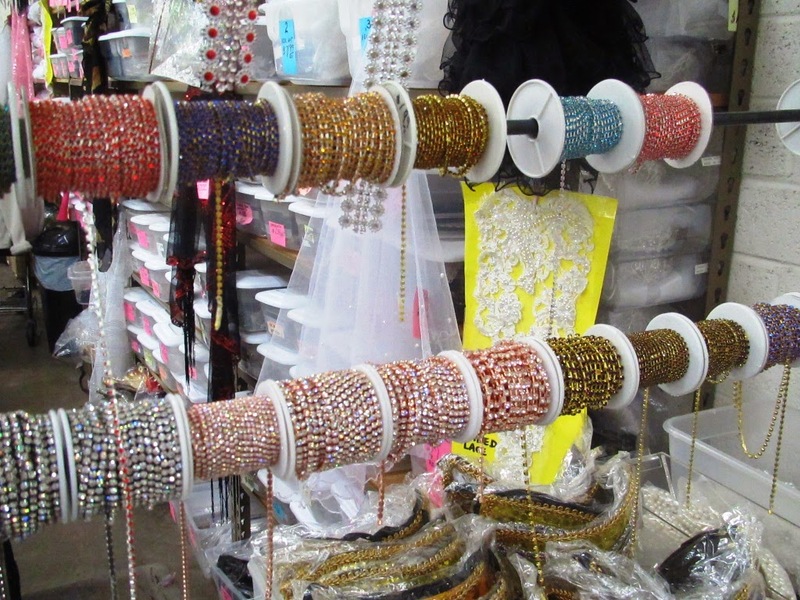 Rhinestone chain for sale by the yard. 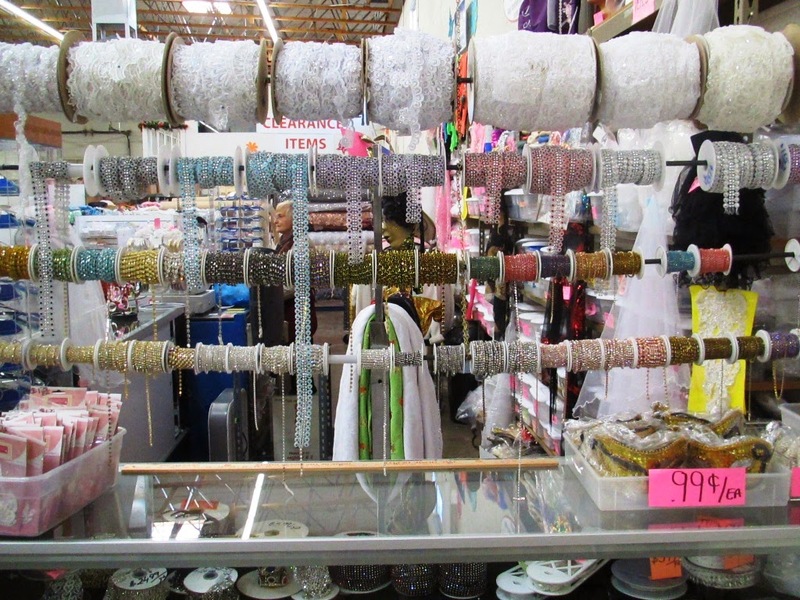 Rhinestone chain in many variations - even rose-gold! If you are in the area and want to visit SAS, be prepared to stay awhile. You have to dig a bit - especially where the fabric is concerned - but it is well worth the time and the savings are phenomenal when compared to regular craft stores. Also, SAS now takes plastic. (They used just accept cash and checks) and they have established a website and Facebook fan page. Tons of fabric for sale! Lace for sale by the yard!